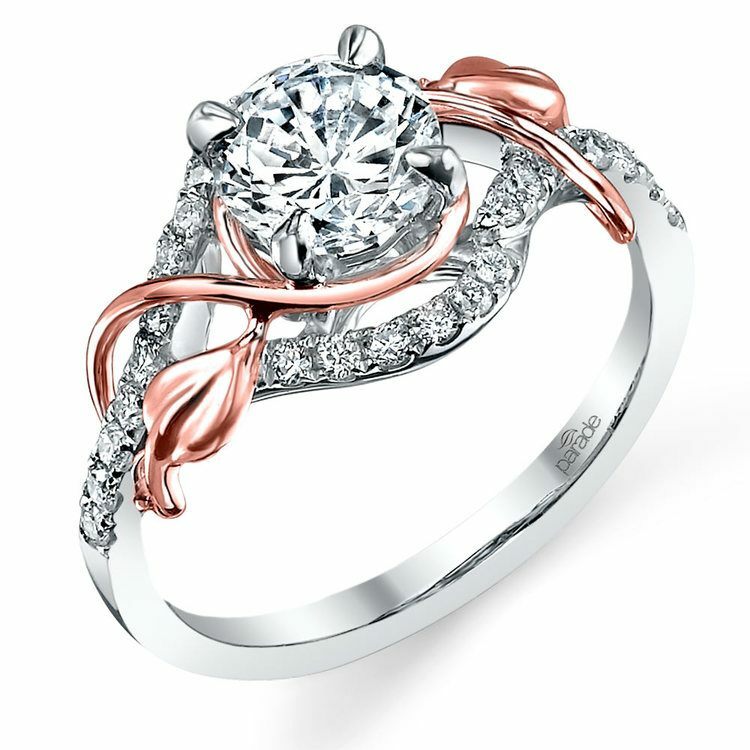 Leaf accented vines in rose gold wrap around your choice of center stone (not included) on this diamond studded white gold engagement ring. Style R3118 from Parade's Lyria Bridal collection features 28 round cut diamond for approximately 1/4 total diamond weight. 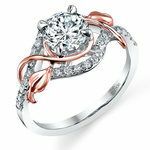 Founded in 2001 by brothers Allen and William Pung, Parade Design benefits from the experience of the Pung brothers as second generation jewelers, as well as the combined strengths and artistic sensibilities of each. Their keen eye for high quality follows them through everything they do with their award winning design house. As CEO of Parade Designs, Allen has a personal hand on everything from design and production to the selection of the most beautiful gemstones. William’s design aesthetic produced the Signature Lyria Crown. He works closely with the design and CAD teams to refine each style and come up with new and innovative pieces, while also heading up the design house’s marketing strategy.